Stand and reflect on your action-packed adventures in a different era with this stylish Assassin's Creed Mirror. 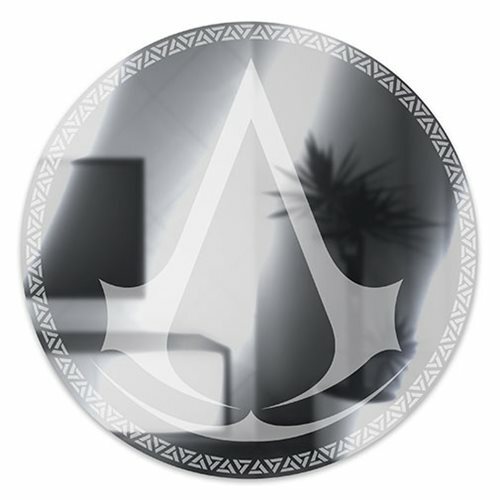 This beautifully designed circular mirror is sleek and stylish and features the Assassin's Creed logo printed subtly on the front. The mirror comes with wall mount fixtures so you can proudly hang it on the wall in your home. Measures about 13 3/4-inches tall x 13 3/4-inches wide.